We respect your time and strive to offer the latest advancements in dentistry to ensure that you achieve a healthy smile without having to spend more time than necessary in the dentist chair. That is why Drs. Meester and Olafsen in San Diego, CA incorporates digital x-rays, intraoral cameras, and Perio Protect® into our practice. An intraoral camera provides an accurate view into the state of your teeth and gums. With this technology, a slender, pen-sized camera is slipped into the mouth so that both you and the doctor can see underlying problems with your teeth and gums. The camera transmits images to a monitor for easy viewing. When you need a procedure to improve the health of your teeth, Drs. Meester and Olafsen can explain the treatment to you with ease, using your own mouth as the model. Perio Protect® is a prescription solution that can help you control the growth of the bacteria that causes gum disease, in the comfort of your own home. Perio Protect® uses a custom dental tray to deliver the solution to your periodontal pockets, decreasing pocket depth and bleeding of the gums. Drs. Meester and Olafsen may recommend Perio Protect® to preserve the health of your gums between periodontal maintenance visits, as an additional treatment for early periodontal disease, or to prepare for gum disease treatment. When used before gum surgery, Perio Protect® can reduce the number of bacteria in the mouth, minimizing the likelihood that the bacteria would move to the bloodstream. Air abrasion is a relatively new technology intended to replace the dentist's drill and the need for anesthesia in certain procedures. This can make restoring a cavity much less of an ordeal for young patients and people who dread noisy drills and injection anesthesia. In the procedure, a small, precisely controlled stream of compressed air is blended with a super-fine abrasive powder and is gently propelled toward the tooth with a special handpiece to remove decay. The decay is then "vacuumed" away through suction. 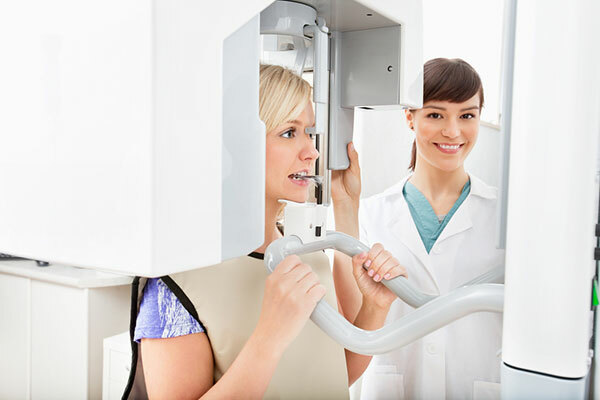 Finally, your dentist will fill the cavity with a nearly invisible non-mercury filling, making the entire tooth strong. Sometimes called "micro dentistry" or minimally invasive dentistry (MID), air abrasion enables your dentist to remove very small areas of decay while conserving healthy tooth structure. If you would like more information about this procedure, pleas contact our office. The K7 Evaluation System is a set of diagnostic tools to help measure neuromuscular activity and helps our doctors identify points of interest that require attention, leading to the eventual treatment of TMJ/CMD/TMD. The Biolase iPlus is a dental laser that we use for many soft tissue procedures, such as gingivectomies, soft tissue contouring, gummy smiles, periodontal treatment, and more. By using a dental laser, we are able to perform procedures with more predictability, effectiveness, and in less time with less complications. Dental lasers are great for patients that have dental anxiety, because they enable us to provide a much more comfortable experience as well. Get the best modern care available!